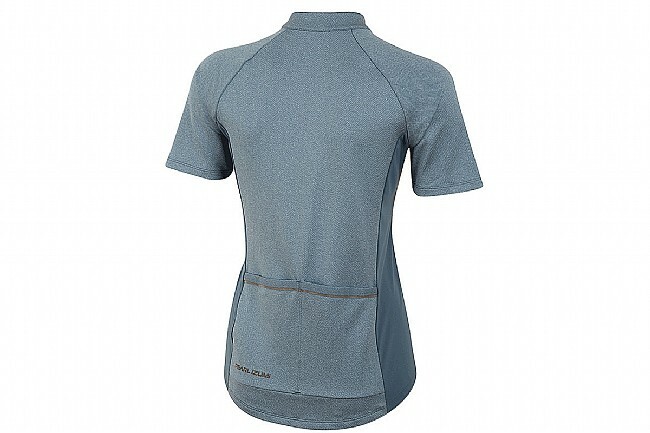 Break away from the traditional cycling jersey. 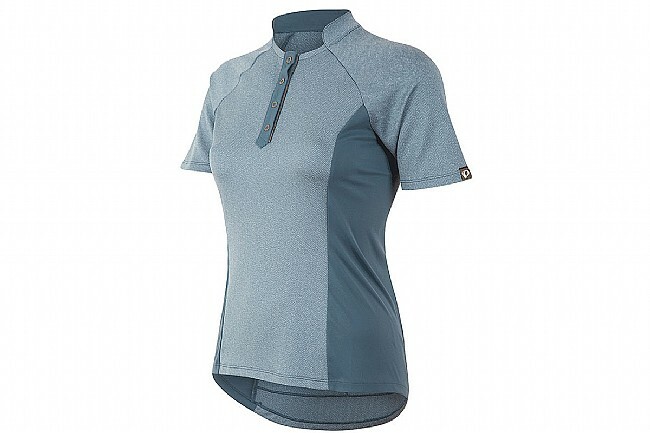 Whether you're looking for a jersey to express your personal style or you just want something fresh and new to wear, the Pearl Izumi Women's Select Escape Texture jersey is perfect for you. Offering unique styling that's perfect for the commute, a trip to the farmer's market or a ride around town. Starting with the herringbone fabric to the snap enclosure below the Mandarin-style collar, this jersey makes a statement. Of course, this jersey packs more than just unique styling. 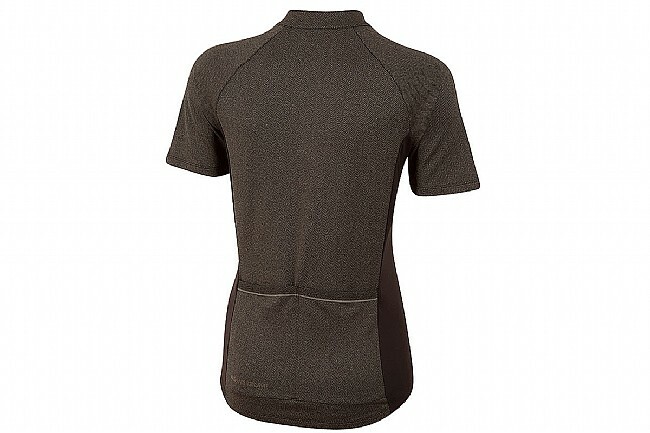 Constructed from Pearl Izumi's SELECT Transfer Dry fabric, this jersey is designed to perform. The gentle compression from the semi-form fitting jersey doubles to promote blood flow while simultaneously wicking moisture away from your skin. Let your jersey do the talking for you with the Pearl Izumi Women's Select Escape Texture Jersey.